A short one today, from the frozen zone. 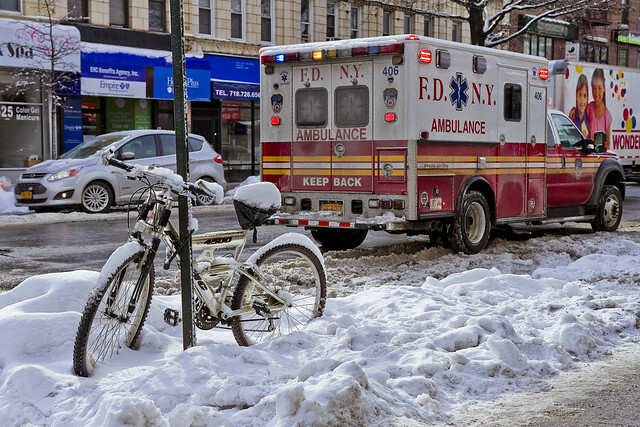 Spotted this bicycle frozen to its pole mount on Steinway Street the other day, the presence of the Ambulance was coincidental. The FDNY personnel were headed down into the Subway station with their bags of kit – the oxygen bottles and all that other gear. Didn’t stick around long enough to find out what was doing, as a humble narrator had places to go. 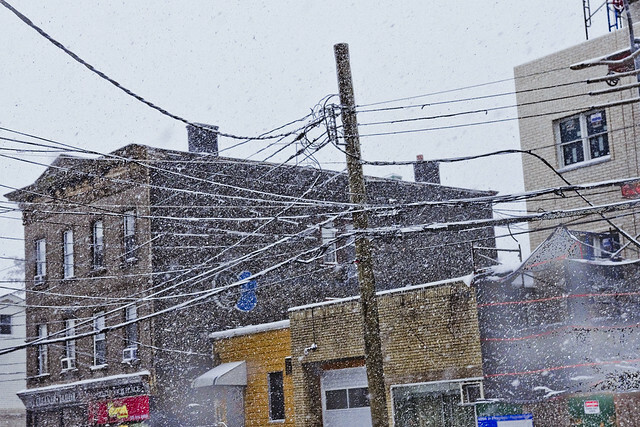 This shot was also captured in Astoria, on Broadway, at one of the heaviest moments of precipitant snowfall last week. Ughhh. I’ll be back next week with some hopefully sunnier shots at this, your Newtown Pentacle.